MER was employed by the Department of Environment to provide specialized consultancy services and carry out a gap analysis of the marine environmental baseline description and of the Environmental Impact Assessment (EIA) for the construction and operation of EuroAsia Interconnection. 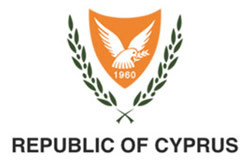 The EuroAsia Interconnection project aims for the construction of an electrical interconnector between Greece, Cyprus and Israel and is classified by the European Commission as a Project of Common Interest. The project is separated in two phases with an estimated duration of 6 months in each phase. Only the first phase was covered by the EIA examined, which involved the installation of two cables for each route (towards Israel and towards Greece) as well as the development of the facilities required for the converter stations. Up to 10 m depth, the cable will be installed below the sediment through Horizontal Directional Drilling. From 10-40 m depth, the cable will be laid on top of the seabed without any excavation process and will be protected using concrete mattresses (3 m wide) along the entire length. Beyond 40 m and up to 700 m, a canal will be dredged and the cable will be buried as deep as ~0.6 m unless the substratum is rocky; in this case the cable will be laid and covered on top with cement blocks (mattresses or bags) for protection purposes. For depths beyond 700 m of depth, the cable will be laid without protection and there will be no excavation procedure on the seabed. Impacts described in the EIA include: 1) Seabed disturbance, 2) Noise Pollution, 3) Light Pollution, 4) Sediment re-suspension & increased turbidity, 5) Changes in water quality and 6) Exposure to electromagnetic fields and increased temperature. MER’s examination identified a range of gaps and weaknesses in the EBS and EIA that could be improved to allow proper assessment of the impacts on marine ecosystems and proper monitoring of the project’s impacts during construction and operational stage. MER attended meetings, consulted and submitted independent reports that identifed gaps and proposed a monitoring plan and the terms and conditions. These were requested by managers for approving the construction of the project.